Carrier unlocking your phone is a lot easier than it used to be, but it still takes a little time because each cellular network has a different carrier unlock process. 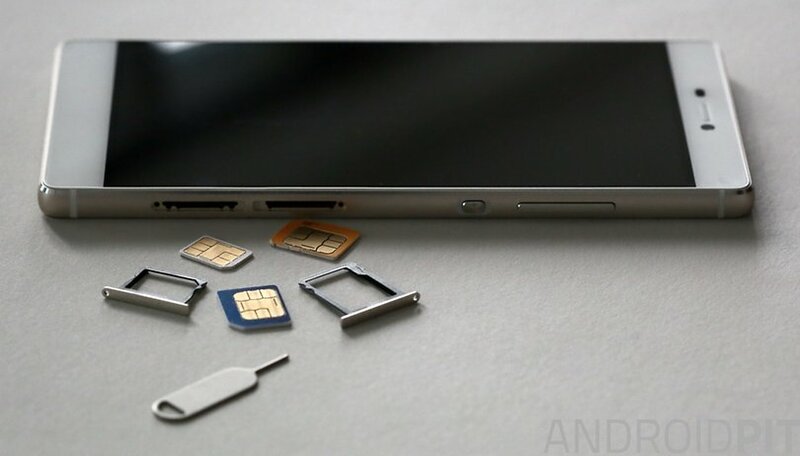 But the good news is, once you complete the process to SIM unlock your phone, you can easily switch between any cellular provider. Here's how to do it. Before you start the carrier unlock process for your phone you need to make sure you have a few details to hand. Compile the information below before calling your carrier. The next steps depend on the carrier you are with. Once you have the information above, you generally just need to call them and request the carrier unlock code for your device. T-Mobile only allows you to unlock two T-Mo branded devices in a year, but if you've not already reached that limit (and pay your bills on time), you shouldn't encounter any problems. Just call T-Mobile on 1800 746 0949. Verizon phones generally work with other carrier's SIM cards because they are not SIM locked in the first place. But if you experience any problems, try calling Verizon on 1800 711 8300 for assistance. AT&T limits its customers to five device unlocks a year. AT&T has an online unlock request form and an FAQ, which can easily guide you through the process. It'll just take a couple days for the unlock code to come through to your email. Sprint is pretty straightforward too: just hit up Sprint's online support to request your device unlock. You can also call Sprint on 1888 211 4727 to do the same thing over the phone. US Cellular devices can be unlocked in-store or by calling 1888 944 9400. Again, you need to be a customer in good standing with the company to request a carrier unlock. US Cellular has a list of unlockable devices on its website. If you bought your phone outright then you are legally entitled to have it carrier unlocked straight away. If you have a prepaid device, you can get it unlocked once it has been in service for a year. If your two-year contract has expired, carriers are legally obligated to unlock your device upon request. Furthermore, carriers are now expected to inform you when you become entitled to unlock your phone. All of this carrier unlocking protection is assured under the Unlocking Consumer Choice and Wireless Competition Act and is supported by both the Cellular Telephone Industries Association (CTIA) and Federal Communications Commission (FCC). The new rules took effect from February 11, 2015. If you encounter any barriers while trying to unlock your phone, read the relevant paperwork and call them back, demanding to speak to a supervisor and armed with the knowledge of your legal rights. Then things should go a lot smoother. Have you unlocked your phone? How frequently do you switch carriers? Share your experiences in the comments. Great article, I used unlockallcellular.com had to pay, but, my Note8 is unlocked. There are many sites which can get unlock codes for your phone. You just have choose the reliable one so you can get the genuine unlock code. I had used Codes2unlock.com to unlock many phones and never got any problems. There are plenty of websites that offer to give a code to unlock your phone, and they’re often relatively cheaper than going to a phone network… it doesn’t take as long too! You have to be careful though, as you can never be sure of what you’re getting. In my experience, the best ones are: unlockradar.com, unlockbase.com and unlockyoursim.com. I usually recommend the latter because it doesn’t cost at all - just requires you to fill out a short survey beforehand for market research, I suppose - but it works! that is the exact site that you've been scammed ? P.s. it's a Sony Experia Z Compact I have. Virgin is my carrier. This article completely ignores the fact that most phones don't have radios that work on other carriers. That's far more important than these steps. It's kind of irresponsible to tell people that this is an easy process only for them to find out that their new carrier doesn't use the frequencies that their now unlocked phone is capable of. This may change in the future but it's certainly a real problem now. For example, Verizon's VoLTE is not the same at T-Mobile's VoLTE. Most phones don't even support Band 12 yet.